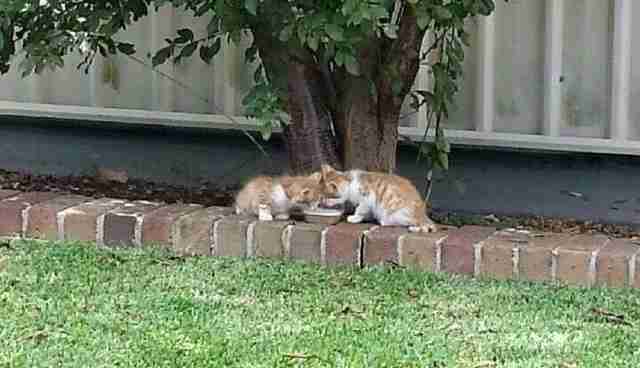 The kittens turned up in a lady's backyard in Casula, a suburb in Sydney, Australia. They were starving, and the lady had been feeding and caring for them as best as she could, but she wanted to find them a good home. The lady took the kittens to a local vet and got the bad news: The kittens were blind, and it wasn't clear if their condition was treatable. As much as she wanted to help them, the lady knew she couldn't financially care for two blind animals, so she contacted a few rescue groups to ask for assistance. Everyone turned her down. 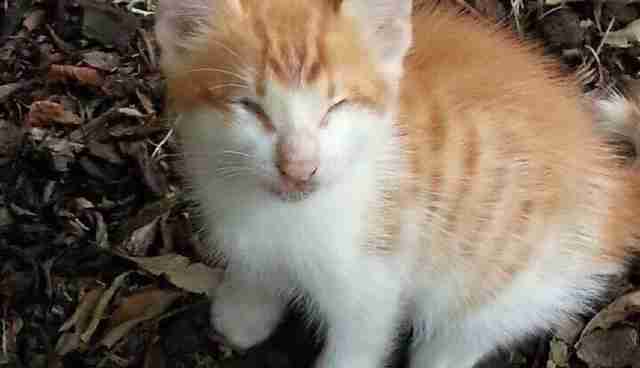 Everyone except Inner City Strays, a group that specializes in the rescue of street cats. When Inner City Strays got the call about the blind kittens, they were at full capacity and short on funds. 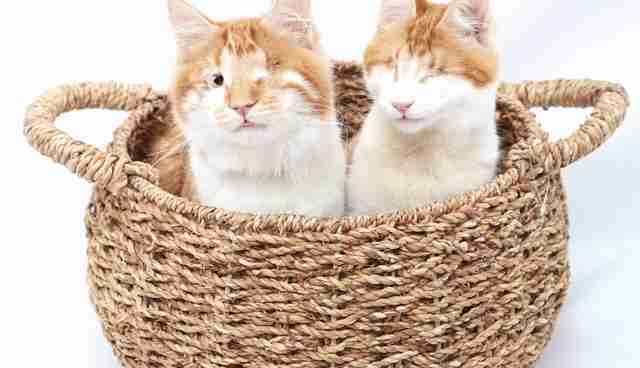 But when Diana Dammery, the cofounder of Inner City Strays and one of the group's foster carers, saw a photo of the blind kittens, she wanted to help. "We just knew we had to take the twins immediately," Dammery tells The Dodo. "We didn't care how much they were going to cost us; we just couldn't turn our backs on them." 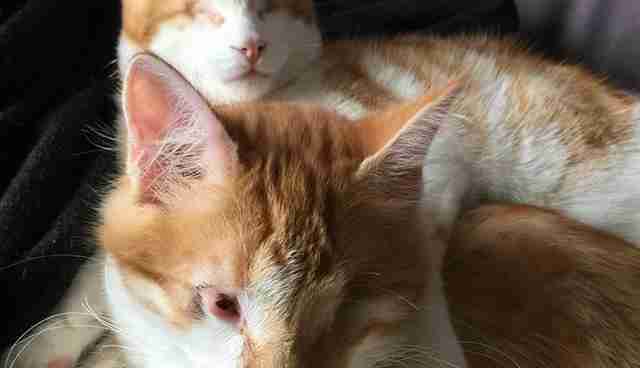 The kittens - named Stevie and Isaac - turned out to have congenital eye defects. 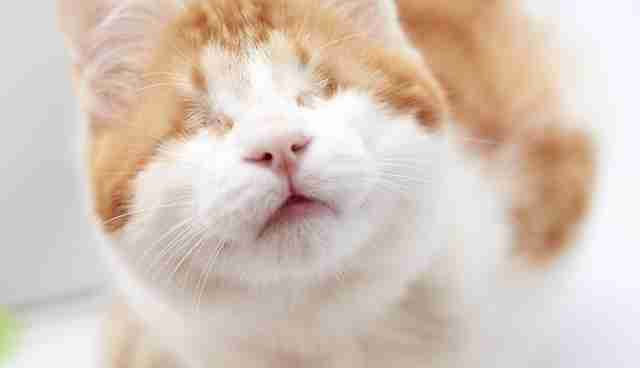 Stevie was completely blind, and had to have both of his eyes removed to avoid infection. Isaac was blind in one eye, but he could still see out of the other one. However, Isaac's eyelids didn't work, and his eyelashes rubbed against his eyes, causing a lot of discomfort. "He's currently undergoing a two-step specialist surgical process to create eyelids with ophthalmologist Dr. Mark Bilson at SASH in North Ryde," says Dammery. "He's been very supportive and given us charity discounts." 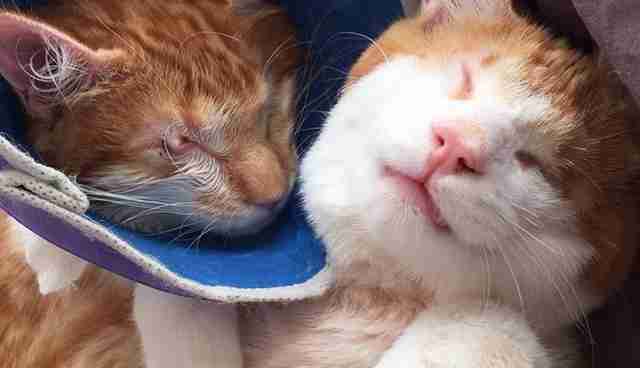 As Stevie and Isaac recover from their eye surgeries, they help each other through any difficulties. "Stevie relies on Isaac incredibly," Dammery says. "If he gets disorientated or is unsure, he cries and Isaac comes running. He never cries if Isaac is near. They're the best of friends." The kittens love playing "chase," stalking each other and wrestling. 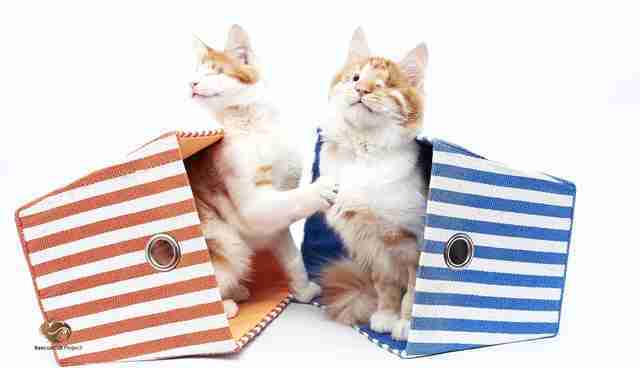 They also like charging through their cat tunnel and rolling around inside of it. "They're fit and healthy, robust kittens doing everything kittens do," Dammery says, "playing, chasing toys, rumbling with each other and getting up to mischief. No one would believe they are blind. In fact, when people meet them for the first time, they are convinced Stevie must be able to see!" The brothers also clearly like a good cuddle. While Stevie is fully recovered from his eye surgery, Isaac will undergo another procedure in August to get functional eyelids. As soon as he's recuperated, this adorable duo will be up for adoption. "They deserve a loving family that understands their needs," says Dammery. "The environment must be safe and nurturing. They're not fans of dogs, getting up a hiss when they smell one nearby. Older, respectful kids would be OK. They startle at sudden touches or loud noises. 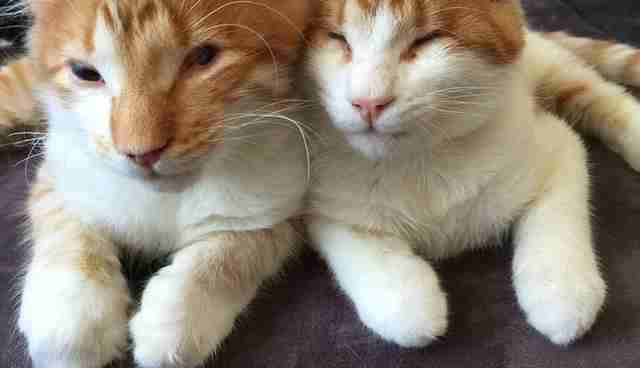 They will warm to other cats but happy to be the only cats in the household." Inner City Strays is a group of compassionate cat lovers who rescue strays and abandoned cats, and work to make a difference in the lives of street cats. You can support their work by donating here.